The foundry is distinguished by our personal service. 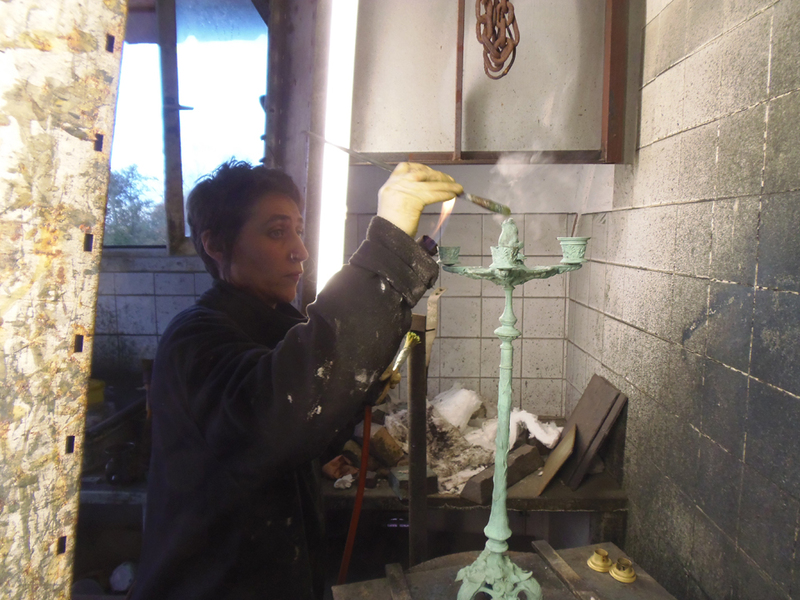 This has been developed to provide you with a wide range of sculptural services which include: finishing (chasing), restoration, mould making, lost wax casting, patination. Above all our team has the resources to help you define the aesthetic, functional and technical preferences to implement your project. 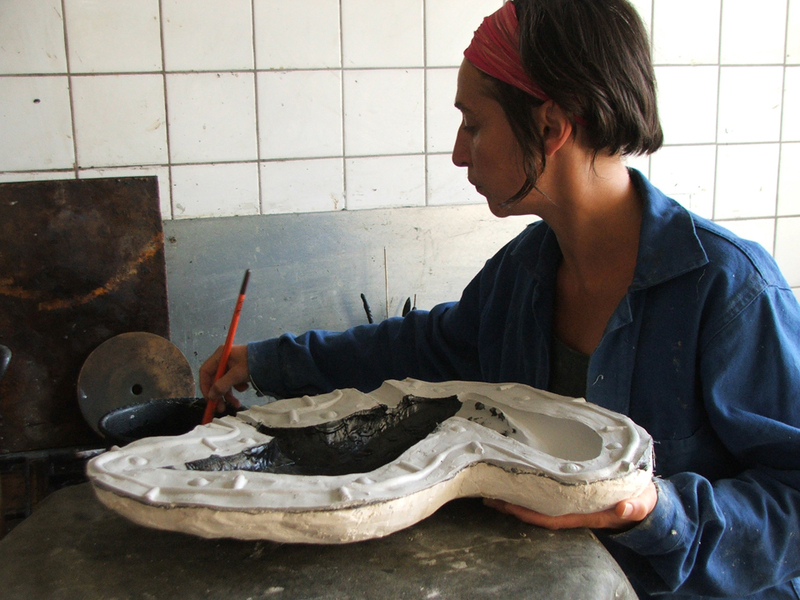 From an original work in clay, a wooden model, resin or plaster, we realise the most technical and economical moulding. 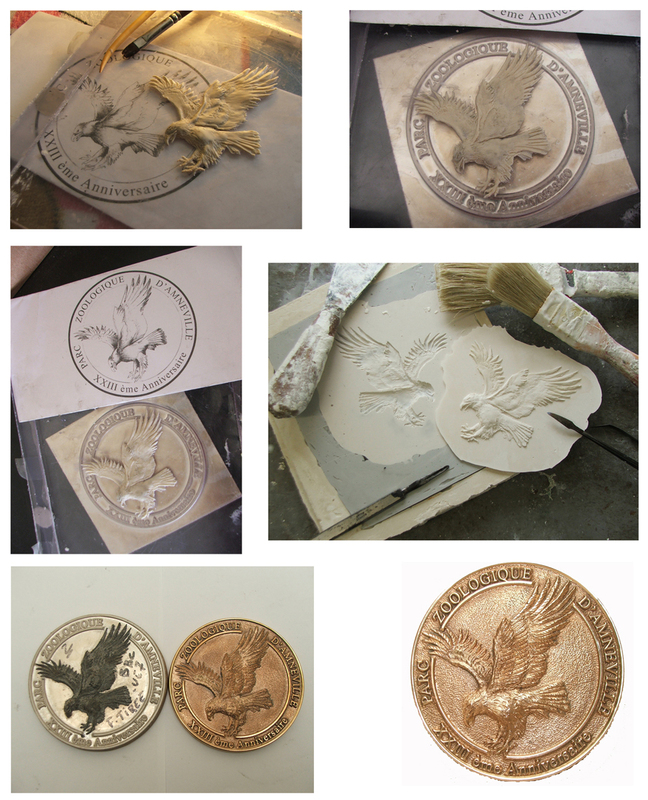 We work with the sand moulding process or refractory moulding for the lost wax process, from miniature to monumental work. Our strong point is the finishing or chasing. A sharp crucial step that requires manual dexterity and gives the work its power, its details, its workmanship and identity. The chasing is carried out to transcribe the soul of the work created by the artist. Hot patina is the final very delicate phase. This is obtained by a complex combination of acid and oxides. It gives the work its tone, its transparency and its character in a much nuanced color palette. This is achieved in close collaboration with sculptor. 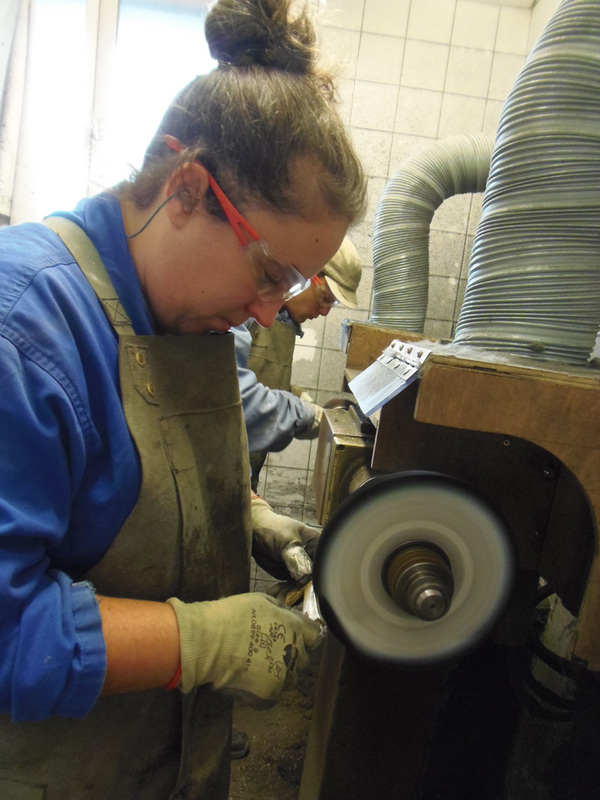 Some parts not receiving patina can be polished and subjected to a surface treatment such as varnish, silvering or gilding bath. 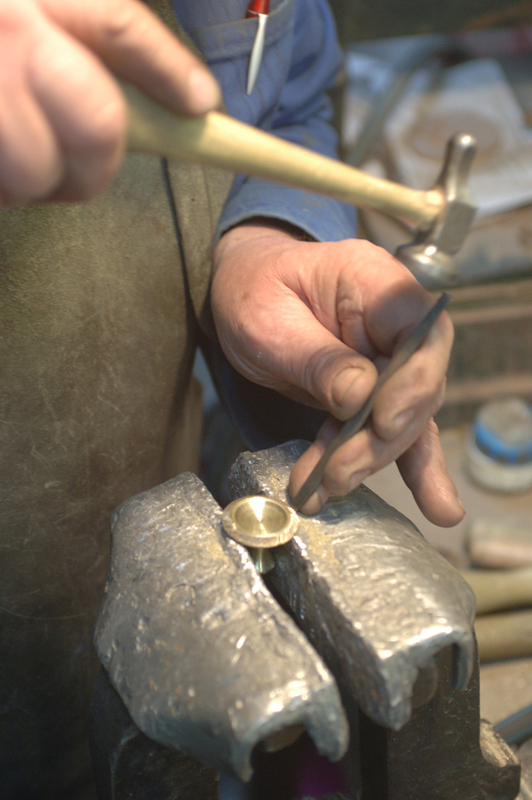 They can also receive treatment giving the bronze a slightly aged look (trophies, medals …). 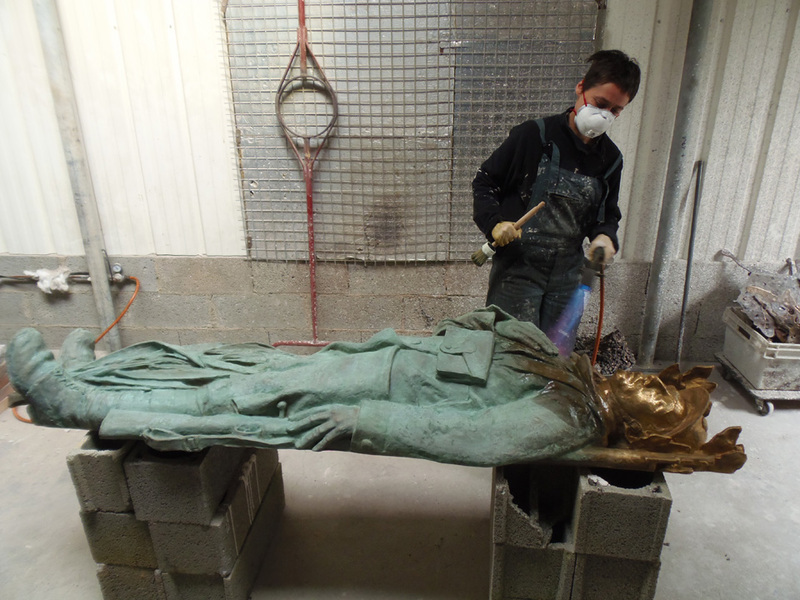 The restoration of damaged or broken bronzes is also part of the knowledge of the foundry. Your sculptures regain their original luster. 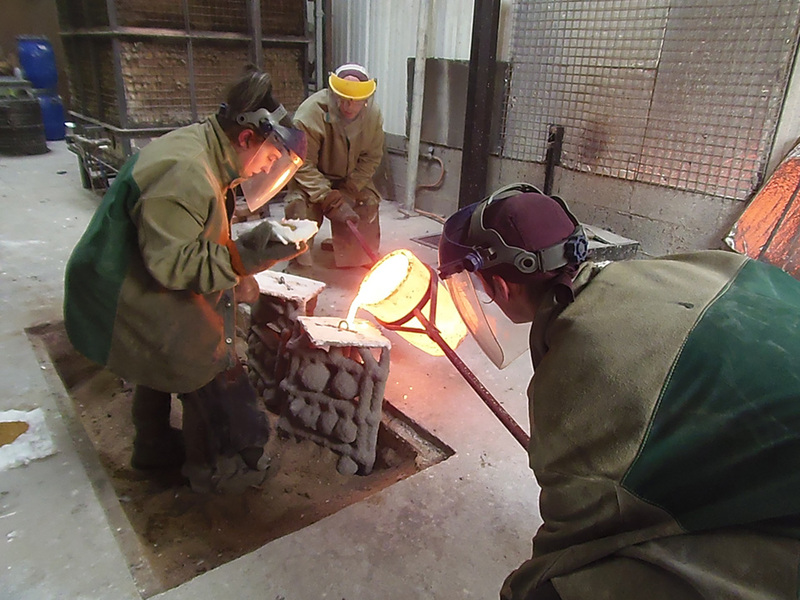 From an idea, a logo, the theme of an event or an existing model, we ensure the management of the entire process leading to the piece being finalised in bronze.